B is a teen living in England with a racist, abusive father who drinks too much and beats B and her mother on a daily basis. Weird thing is, B loves her father and hates him at the same time for his despicable bias. She has molded her personality to be able to deal with her father, love him and hate him while also becoming a teen who is a trouble-maker, fighter, and racist herself. When zombies attack, B and her friends are racing to get out of the school and stay alive and B quickly becomes a leader. 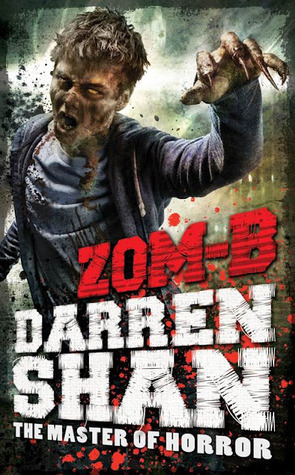 With spare black and white illustrations, Shen’s first zombie book will have your heart racing til the next book arrives. Sign into Goodreads to see if any of your friends have read Zom-B.